Today TVS launched their premium motorcycle & scooter, the TVS Apache RR 310 & the NTORQ 125 at the National Automobile Dealers Association (NADA) Auto Show 2018 held in Kathmandu, Nepal. Both these vehicles are TVS’s latest offerings from their stable, while the Apache RR310 boasts performance and dynamics, the NTORQ 125 has been built on the same racing pedigree. Thanks to their rich racing heritage that they’ve earned over 36 years, both these products boast superior technology and sharp handling dynamics. 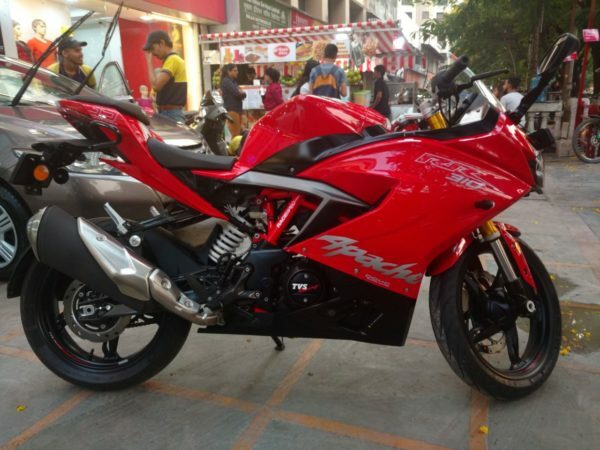 The Apache RR310 really shook things up here in India and now TVS is trying to take that success to Nepal. The RR310 gets a 312cc, single-cylinder, 4-stroke, 4-valve, liquid-cooled engine that churns out 34 Bhp of power @9700 rpm and 27.3 Nm of torque @7700 rpm and comes mated to a 6-speed gearbox. 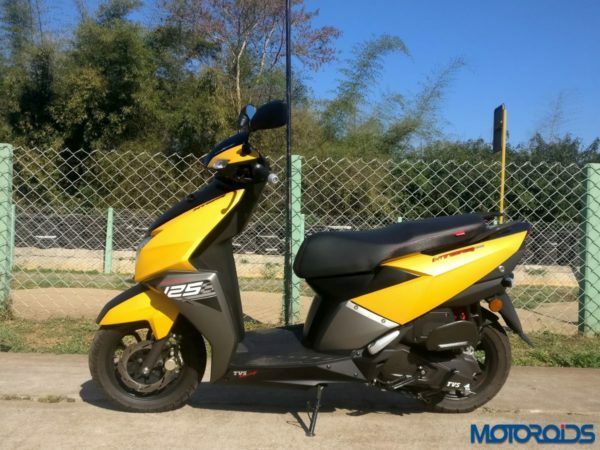 While the TVS NTORQ 125 comes with a CVTi-REVV 3 Valve engine and holds a winning record in the Indian Scooter Racing Championships for the past 4 years. 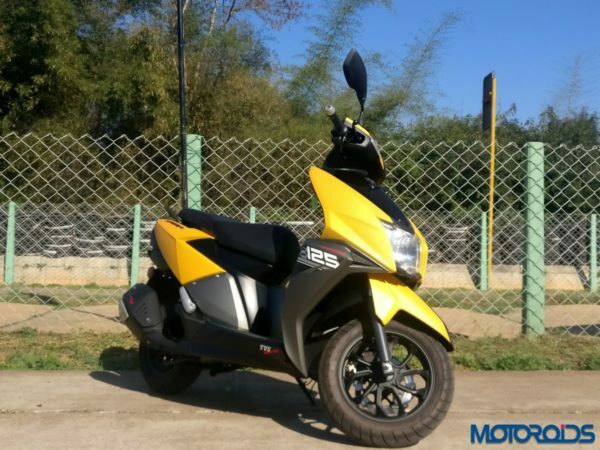 TVS NTORQ 125 gets a 124.79cc, single-cylinder, 4-stroke, 3-valve, air-cooled SOHC engine that dishes out 9.4 bhp of power @7500 rpm and 10.5 Nm of torque @5500 rpm and has a top speed of 95 km/hr. The NTORQ 125 premieres the TVS SmartXonnect* which is their Bluetooth-enabled technology that can be paired with an exclusive NTORQ mobile App that can be downloaded from the google play store. TVS SmartXonnect* enables a host of first-in-segment additions to the fully digital speedometer, which boasts of 55 features including navigation assist, top speed recorder, in-built lap-timer, phone-battery strength display, last parked location assist, service reminder, trip meter and multi-ride statistic modes such as Street and Sport.